Horst Reichenbach stepped off the plane in Athens. His Greek nicknames include "Third Reichenbach" and "Horst Wessel". He is the head of the task force the European Commission sent to provide technical assistance in the implementation of reforms. The euro crisis is pitting the north and the south against each other. Also, one part of Europe races at the speed of financial markets and banks, while the other drags along at the speed of governments and parliaments. No amount of reorganizing in Athens can simply erase €350 billion in government debt. No one knows how to cope with this debt without ruining the European project. The markets have forced Europe into an endgame over the euro. To understand the bold project of creating a common currency for Europe, recall the Cold War and World War II, and the problem of integrating Germany peacefully into Europe. Jacques Delors was the president of the European Commission for ten years and was the lead author of the Maastricht Treaty, which defined the basic features of the euro. If he had his way, Europe would have been far better equipped, would have a more uniform constitution, and would be more centralized. The Maastricht Treaty was signed in 1992 and marked the establishment of the European Union. It placed Europe on three columns, the first of which was an economic column, complete with an Economic and Monetary Union. The treaty provided a legal framework for a common financial policy and a coordinated fiscal policy. But there was no political will to create a United States of Europe. The euro would make Europe strong in a competitive globalized world, would bring the European economies closer together, would oblige countries to limit their debts and deficits, would guarantee that no country would be liable for the debts of another, and would promote political unity. The euro was a political currency, seen as a means of strengthening democracy. In Greece, the euro fueled hopes of a better future. In late 1993, Greece was already well over its head in debt. The Greek economy was uncompetitive and unable to change. Finance Minister Yiannos Papantoniou dismisses the charge that his country used falsified figures to cheat its way into the eurozone. German Chancellor Helmut Kohl wanted a historic decision on the euro. Bundesbank President Hans Tietmeyer objected that the Europeans had eliminated the final test of whether enough countries even satisfied the requirements for the euro from their roadmap for switching to the new currency, but to no avail. Greece got the nod in 2000. The European Central Bank warned against Greece's high debt levels, and yet the European Commission recommended that Athens be admitted to the common currency. In April 2000, Bundesbank executive board member Hans Reckers said: "In my view, Greece is by no means ready for the monetary union. Its accession must be postponed by at least a year." 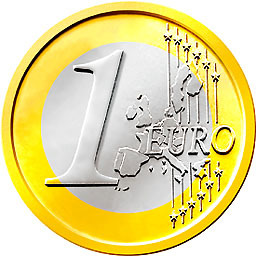 The euro was introduced on January 1, 2002. Despite all the declarations of intent in Maastricht, the euro countries drove up their debt by more than €600 billion in the five years of preparations for the introduction of the euro. By the end of 2002, they had a combined debt of €4.9 trillion. Europeans seemed determined to make the historic project a success. Government bonds looked like reasonable investments. The financial industry offered low-interest loans everywhere, and it was easy to postpone their repayment and expand government spending. Governments borrowed excessively from the major European banks. The Greeks began borrowing on a big scale. In 2003, rates on Greek bonds were only 0.09 percentage points above comparable German bonds. The markets felt that Greece was just as creditworthy as Germany. Germany soon exceeded the allowed 3 percent of GDP limit for its budget deficit. Few criticized the breach of the Maastricht rules. The Germans and the French undermined the treaty and secured a majority in the EU Council of Economic and Finance Ministers to cancel sanctions. The two biggest economies in the eurozone had stopped abiding by the rules. National interests emerged again in Europe. Greece's new conservative government, elected in 2004, disclosed that its socialist predecessors had been reporting manipulated figures to Eurostat since 2000, including the numbers used to join the eurozone. European Commission President José Manuel Barroso, congratulated the new government for taking steps to make up for the mistakes of the past. But the new administration in Athens soon proved to be just as creative with its accounting as its predecessor. To make matters worse, hopes of strong economic growth in the eurozone were dashed. Germany was ailing, growth was minimal in Europe, and unemployment figures were disconcerting. The International Monetary Fund put Europe under observation. European political union did not materialize. Only the Germans introduced painful and unpopular reforms. Countries like Greece, Portugal, and Italy kept borrowing. Germany gained even greater competitive advantages over countries like Italy and Greece. The Greeks were consuming on credit, using cheap loans. No elected official was willing to trim the country's enormous bureaucracy, hardly anyone was interested in debt repayment, trade deficits or unit labor costs, and very few fought against corruption, subsidy fraud or unearned privileges. Transparency International considers Greece to be the most corrupt country in the EU. Permits and certificates can only be had in return for cash. Not everyone in Greece sees this as a problem. Some see corruption as part of Greek culture. A third of Greece's economic activity is untaxed and its black market is a quarter of the official economy. For years, rating agencies had given AAA or AA ratings to the bonds of eurozone members. In January 2009, Standard & Poor's downgraded Greek government bonds to A-. Prices plunged on the Athens stock exchange and interest rates rose. The debt burden grew. The Greek tragedy had begun. In April 2010, Standard & Poor's downgraded Greece's bond rating to BB+. It was the kiss of death. Greek bonds were thrown onto the market, causing their prices to plunge. The rate for 10-year bonds climbed to above 10 percent. Confidence sank not only in Greece but also in Portugal, Ireland, Spain, and even Italy. Fear spread in Frankfurt and London. European banks had invested more than €700 billion in government bonds from the five crisis-stricken countries. Government bonds also serve as collateral when banks borrow money from the European Central Bank. When their value falls, the supply of money begins to falter. In June 2010, Greece's credit rating was downgraded by four more notches. Greek government securities now had the status of junk bonds. The European Central Bank purchased them, as well as Portuguese, Italian, and Spanish bonds. The ECB was buying junk bonds and ruining the credibility of the euro. In Greece, the plunge in the value of government bonds triggered unrest, because EU assistance was tied to austerity demands and tough reforms. An economy dominated by guilds and family owned businesses was to be converted into a market economy that satisfied politicians in Brussels and Berlin. The country was unlikely to work again soon. The architects of the euro have lost their bet. The loopholes left in the Maastricht treaty have been used to undermine the euro. The euro countries have almost doubled their combined national debt since 1997. The euro had too many design defects, the European political class was too weak to correct them, and Europeans themselves were too disinterested in the entire massive project. The nations of the eurozone are in debt to the tune of €8 trillion, while banks hold European government bonds with a face value of €1 trillion. The central banks of Greece, Italy, Portugal, and Spain owe Germany's Bundesbank €348 billion. The ECB has purchased €150 billion in government bonds. The banks have parked up to €150 billion with the ECB rather than lend money. The sum of all credit default swaps for Greece is unknown. The risks are incalculable. Large European banks have so many junk bonds on their books that they would need €200 billion more capital to cover possible defaults. The rating agencies have begun to downgrade some of the banks. If Greece were a state in a United States of Europe with a common fiscal and economic policy, it would be just as protected as the city of Bremen is in Germany. But because there is no common European fiscal policy, Greece is a systemic threat for all Europeans. And the euro becomes the most dangerous currency in the world. What is happening in Europe is a continuation of the financial crisis of 2008. The European Financial Stability Fund (EFSF) policy of financing national debts will fail. Greece is so insolvent that it will only have a future if most of its government debt is written off, and the situation in Ireland and Portugal is not much better. The infection will soon reach France and Germany. The European partners must either marry or divorce. In a transfer union, the strong countries would pay for the weak. In a smaller monetary union, a core Europe would include only the relatively comparable economies. A transfer and liability union would require new political institutions. Countries would hand over much of their power to Brussels. Some say this would lead to a United States of Europe. A smaller union is more likely. A firewall would be erected between insolvent countries like Greece and others that have a chance. The banks would be provided with government funds, so that the financial system does not collapse when banks write off some of their government bonds. The countries leaving the eurozone would require continued support to prevent them descending into chaos. Horst Reichenbach will still be needed in either case. He is a mathematician, an economist, and a technocrat with decades of experience in the Brussels bureaucracy. He is Europe's future.